Our tranquil spas in Canary Wharf and Marylebone offer a full range of beauty treatments, therapies and sports rehabilitation, creating a haven for you to unwind and re-energise. Book your treatment today. Uplifting facial and body therapies will relax and re-energize, leaving you feeling and looking your most radiant. Our skilled therapists concentrate on the person as a whole, delivering a bespoke treatment experience each time. We use a range of exclusively selected products from a variety of houses which, when combined with our treatments, ease away the stresses of modern living leading to amazing skincare results. Treatments and products are designed to promote a feeling of de-stress and wellbeing. Luxurious treatment rooms provide a haven of relaxation. Before and after treatment, guests can relax in our comfortable seating, or if visiting Canary Wharf, in our relaxation room for a more secluded experience. Book a 25 min facial for £40 Monday to Friday 8am-5pm. Purchase 2 products and get the facial for free. *This offer excludes value packs. Call us on 0207 970 0912 to book an appointment. Murad Method™ facials are a new and entirely personalised concept in high-performance professional skincare from internationally renowned skincare brand Murad. The ground-breaking, dermatologist-developed combinations and techniques are designed to make skin as healthy as it can be, giving noticeable results and leaving skin looking beautiful. Using natural ingredients such as sugar cane, durian fruit, pomegranate, goji berries, mushroom peptides and essential fatty acids to hydrate the skin cells as well as vitamin C to brighten the skin and even the tone whilst reducing hyperpigmentation. Traditional facials are developed to address a single skin concern, such as lack of firmness, anti-ageing or blemished skin. However, Dr. Murad understands that only healthier skin can be truly beautiful and that no two skins are the same. This has led him to develop the Murad Method facials, part of the next generation of sophisticated, wholly-customised solutions for maximum skin health. During your facial, your therapist will spend time analysing your specific skin type before designing a personalised facial to address multiple skin concerns. The facial also includes touchpoint massage techniques to help relieve stress for ultimate relaxation and mindfulness. Skin will be left noticeably healthier, smoother, plumper, radiant and more beautiful. Deep exfoliation will help the reduction of dead skin cells, lines and wrinkles. Skin tone will be more even and feel firmer. A course of 6 is recommended. Facial treatments with the head therapist or a member of the senior team is an additional £5. This intensely hydrating, anti-ageing facial to renew and revive the complexion. The face, neck and décolleté are deeply cleansed and exfoliated to prepare the skin for a specialised massage. The warm self-heating Lava Shells are used to lift, drain and contour the face leaving the skin radiant and glowing. The natural heat from the Lava Shells is instantly relaxing allowing you to drift into a tranquil state of mind whilst aiding the penetration of skincare products increasing their effectiveness. The Lava Shells warmth will improve circulation, ease tension lines and boost your skins natural radiance whilst alleviating sinus blockages, puffiness and aiding the removal of toxins. On Relaxing Lava Shell Facial choose either Elemis or Murad products. 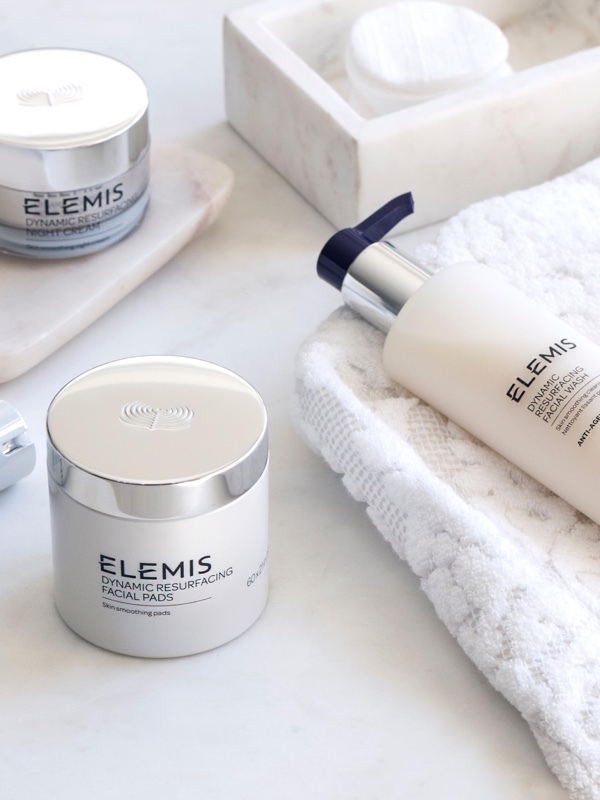 Elemis is the only professional British brand to clinically trial the efficacy of its advanced facials, proven to be effective after just one treatment leading the way in innovative, professional therapies and superior formulations for over 25 years. Expert body therapies and unique massage techniques are combined with potent natural active formulations for maximum results. BIOTEC facial treatments are where ground-breaking technology meets active ingredients and transformative touch. This pioneering innovation of the BIOTEC machine works to switch the skin back on, increasing its natural cellular energy. Book a BIOTEC treatment and your therapist will spend time choose the best treatment to treat any concerns including line erasing, firming, radiance boosting or soothing sensitive skin. BIOTEC uses 5 different technologies: Light therapy to balance the skin O2 infusion to hydrate and plump the skin Galvanic Rejuvenate Ultra-sonic peel to exfoliate Microcurrent lift to lift and firm facial muscles. Sports massage focusing on restoring or maintaining the functionality of your muscles. It works at a deep level within the muscle tissue to alleviate pain causing tension. The therapist works on specific areas of concern highlighted in your consultation. A traditional massage that works deep into stiff, tight, aching muscles, to instantly release pain and tension. Lava Shells are the world’s first self-heating massage tool, a patented, biodegradable heat technology is incorporated into a Lava Shell which then emits heat for over an hour. Marine polished sea shells or handcrafted porcelain shells glide smoothly over the body providing a seamless massage of heat and touch. We also offer Glacial Shells which deliver an ice treatment to complement the heated Lava Shells and are used in combination to deliver our Rescue and Detox treatments. Wonderful for relaxation. The indulgent and truly pampering Lava shell relax body massage offers idyllic treatment combining the warmth of the shells with deeply relaxing massage techniques, creating a sense of balance to the entire body and mind. During the massage, the shells are worked over the palms, arms, legs in a slow deep moves to warm and de-stress. This is followed by a wonderfully tranquil massage on the back, neck and shoulder area to ease away all tension, knots and stress. Essential for healing. This treatment promotes deep relaxation as physical tension is released and is a great cure for aching muscles and over exertion. Combining deep massage moves with the heat of the lava shells, this treatment is designed to encourage deep relaxation of muscles to allow the body to re-energise. This will leave you feeling refreshed, relaxed and supple. This treatment does include the use of ICE cold shells. Perfect for pregnancy. Lava Mama Relax, is a wonderfully soothing 50 minute full body massage designed to promote a feeling of wellness and serenity, aid sleep and reduce everyday stresses. Perfect to alleviate high stress levels; tailored entirely to your needs; it leaves you feeling grounded and focused. Your therapist will select aromatic oil according to your concerns, be it muscle pain, stress relief, pure relaxation or emotional balance. Skin is prepped to release toxins and the flowing massage works deeper and deeper into the tension, encouraging optimum circulation. Just as effective as an hours stretching but more nurturing. Molten Lava stones are the world’s first self-heating massage stone. They offer an amazing warm and seamless massage experience relieving deep set tensions and soothing aches and pains. Unlike black basalt stones used in traditional stone massage, the smooth and shiny porcelain Molten Lava stones retain their heat for up to 60mins, allowing for more hand’s on time for a completely relaxing massage. The extraordinary cleansing power of salt goes to work to release toxins in this polishing treatment. The fragranced salt of your choice will gently slough away dead skin cells, encouraging the regeneration of new cells and perfectly prepping the skin. It leaves a smooth and responsive canvas, ready to absorb the deeply nourishing body oil. It delivers velvety soft, invigorated skin. Cupping has been used in China & dates back over thousands of years. In Chinese medicine cupping is used to move Qi & blood within the body. Applying cupping stimulates blood flow & circulation therefore both blood & lymph circulatory systems are simultaneously stimulated to work more effectively. Cupping within massage can assist with sciatica, tight IT band, neck & shoulder tension the list is endless. There are cupping movements with the hands that are taught in sports and aromatherapy courses. Cupping from a traditional Chinese acupuncturist has the added benefit of helping asthma, IBS, fertility, headaches, etc because we also incorporate cupping on the acupuncture points (that needles would be inserted into) however the cups replace the needling. Regarding the press from the Olympics cupping encourages blood and lymphatic flow therefore removing toxins lactic acid etc and assisting the lymphatic system. This can help with muscular tension and to prevent muscular stiffness & fatigue. Using only the highest quality wax products to minimise irritation and re-growth. For discretion on booking certain treatments we have numbered intimate waxing. A quick and easy application of St Tropez tan using an airbrush. An Ergoline laydown sunbed is available within the club. Please enquire at the Spa reception for details. Stand-up tanning capsules are available within the Club. No appointment is necessary. This service is only available for members. OPI 7-10 day manicure. Nails will be shaped, cuticles tidied and a speedy gel colour applied. Gel Removal Free with reapplication of gel. High definition gel shine polish without the need of UV light, up to 10 days of gel shine meets easy removal. Shine that lasts until you take it off. This innovative system comprises IBX and IBX repair and is key to protection from soak off damage and the solution to weak, damaged, peeling nails in only a few applications. Both IBX and IBX repair do not require removal; Penetrating into the nail plate and working to toughen from the inside out, rather than sitting on top of the nail. IBX is the first treatment of its kind, the ultimate innovation. IBX is a built in insurance policy for both the natural nail and gel polish clients, simultaneously toughening the natural nail and protecting against frequent and potentially damaging removal of gel polish. Providing unparalleled results when compared with a normal pedicure, the revolutionary spa pedicure using Footlogix products delivers transformational results to repair, rejuvenate and transform your feet. The feet are exfoliated and callus dramatically reduced, nails will be shaped and the cuticles tidied. Results can be maintained using our home care mousses. OPI 7-10 day pedicure. Nails will be shaped, cuticles tidied and a speedy gel colour applied. Injectable anti-ageing treatments are a safe, more affordable alternative to cosmetic surgery. Injectable hyaluronic acid dermal fillers smooth out wrinkles, while Botox works by preventing facial muscles from contracting to cause wrinkles. PDO Honey Derma Threads are a ‘non surgical’ face and neck lift treatment. This minimally invasive procedure uses dissolvable PDO (Polydioxanone) threads to lift and tighten the skin by stimulating new collagen production, reducing wrinkles, tightening pores and creating volume. PDO Threads allow you to define facial contours and induce collagen production. Collagen synthesis allows the thread to form part of an integrated support structure for the tissue of the face, giving a result that will last between 12month -3 years based on maintenance and lifestyle. Profhilo- is the first BDDE-free stabilised injectable Hyaluronic Acid (HA) based product for treating skin laxity. With one of the highest concentrations of HA on the market (64mg/2ml) it is not only boosting and hydrating the skin, but also remodels the sagging tissue. Profhilo delivers great results on its own or in combination with other aesthetic treatments. A tiny plasma flash is created by ionising the gases in the air which creates a small electrical arc from the probe to the skin. The plasma produces an energy, which vaporizes in the immediate vicinity of the skin causing the tissue to contract and tighten. A 45 minute treatment. Osteopathy uses a whole-body approach for diagnosing and treating a range of injuries. Osteopaths are experts in physical ailments such as back pain, sports injuries and joint conditions. Osteopathy & Physiotherapy are recognised by all major health insurance providers; please contact your provider for details of your policy prior to making an appointment. Podiatry diagnoses and treats abnormalities of the lower limbs. The treatment will enhance your health and wellbeing. Most of our treatments are suitable for gentlemen. For a groomed appearance your nails will be shaped, buffed and cuticles tidied. Your hands will be exfoliated, followed by a relaxing hand massage. For a groomed appearance your nails will be shaped, buffed and cuticles tidied. Your feet will be exfoliated, followed by a relaxing foot massage. An Ergoline laydown sunbed is available within the club. Please enquire at the Spa reception for details, booking requirements and costs. Stand-up tanning capsules are available within the club. No appointment is necessary. Please enquire at the Spa or main concierge for details. Members only. Shiatsu massage deals with a wide range of pressure points and stretching techniques to stimulate and unblock energy lines. It is recommended to wear loose, comfortable clothing for a treatment. Reflexology rebalances the whole body using pressure applied to your feet. It is base on the ancient Chinese theory that energy is flowing all around our bodies. If the energy can flow freely then we are balanced and healthy. If the energy is obstructed, illness may result. Lymphatic drainage massage is especially useful for individuals who suffer regularly from common illnesses like colds and flu. It is also recommended for people who lead sedentary lifestyles, or those who want to reduce puffiness or swelling. It has been cited as having a positive effect on problem skin, cellulite, dysfunctional respiratory systems and people with low energy. Pulsing is a rhythmic, movement-based therapy which uses a very gentle and nurturing approach to increase body awareness and sensitivity to connect to the body’s natural rhythms. It involves the application of pressure and movement (stretching, lifting, shaking, rotating and swinging) to the soft tissue of the body (skin, muscles, tendons, ligaments and fascia) within a continuous soft rhythmic rocking. Massage specifically designed for pregnancy to promote relaxation, soothe nerves, and relieve strained back and leg muscles in expectant mothers. Prenatal massage is especially beneficial in the second and third trimesters. Modern treatment approach founded in concepts of neurology, anatomy and physiology. Similar to traditional Chinese acupuncture, medical acupuncture involves the strategic placement of sterile needles into various locations in the body. It has been shown to have beneficial results by inducing muscle relaxation, modulating pain, altering your neuroendocrine responses and changing you autonomic activity resulting in an overall relaxation and a feeling of well-being. The aim of a head massage is to release the stress that has accumulated in the tissues, muscles and joints of the head, face, neck and shoulders. Head massages are especially good for relieving stress, tension, fatigue,insomnia, headaches, migraine and sinusitis. Clients report that the experience is deeply calming and relaxing, leaving them feeling energised and revitalised and better able to concentrate. Traditional Thai Foot Massage focusses on improving circulation to the legs and feet reducing symptoms of stress such as mental fatigue and anxiety by incorporating elements of Shiatsu, Chinese massage and yoga. This involves wrapping the feet, massage to the lower legs & feet and hands on stretching to open up the Sen (energy) lines, along with the use of a traditional wooden Thai stick to stimulate the reflex points on the feet, which correspond to the internal organs of the body. All spa packages include a robe and slippers on arrival. For non members this includes use of the club facilities. Please bring a form of ID to gain entry to the club. Full body salt scrub followed by a 25 minute back, neck & shoulder massage and 25 minute facial. 50 minute Lava Shell Relax Massage followed by a 50 minute Lava Shell Facial. Full body salt scrub followed by a 50 minute Lava shell massage. Innovative Alexandrite & LP Nd:YAG laser with next generation MT technology & ResurFACE fractional laser system The DUETTO MT is the world’s first ‘Mixed Technology’ laser, transcending all conventional hair removal systems by simultaneously delivering two laser wavelengths – Alexandrite (755nm) and Long Pulsed Nd: YAG (1064nm). As Seen in VOGUE 2015. Prices below are indicative and confirmed on consultation, more areas available. The award-winning ResurFACE fractional laser system delivers dramatic results for complete skin resurfacing. ResurFACE laser treatment offers a solution to those who are looking to change and improve the appearance and smoothness of their skin without the associated downtime of other, more aggressive treatments such as CO2 laser and injectable options. ResurFACE fractional laser resurfacing treatment is changing how people now perceive the visible effects of ageing (wrinkles), as well as the most common scarring (facial/acne scarring) and stretch mark prone areas of the skin, with dramatic rejuvenation and skin resurfacing results. Offering a versatile range of different fractional resurfacing laser treatments, ResurFACE treats the UK’s most in demand aesthetic concerns, including congestion clearing, skin smoothing procedures, scar revision, wrinkle reduction and stretch mark removal. It offers an alternative to the long-term, minimal results gained with anti-ageing creams and oil based products, and produces a more natural, healthy result. Key Features: Many men and women in the UK suffer from skin conditions and concerns that they feel are ‘with them for life’, and that they have no real treatment solution. Fractional resurfacing laser technology was introduced with the aim of delivering results comparable to the traditional fully ablative resurfacing procedures, but without the associated prolonged downtime. Fractional laser skin resurfacing provides total rejuvenation to give the skin a smooth, youthful and glowing appearance, and is highly recommended for individuals who want a smoother skin texture or an improvement in the appearance of stretch marks. Stretch Marks unrivalled post-pregnancy & exercise-induced stretch marks solution with profound results; the perfect alternative to long-term topical agents. Dramatic Rejuvenation Minimising pigmentation and age spots as well as giving the skin a fresh and glowing appearance. ScarringDramatically smoothing and improving commonly scarred areas of the skin; providing excellent results on facial acne scarring. Fine Lines and Wrinkles The appearance of fine lines and wrinkles are reduced through stimulation of collagen production, plumping the skin and resulting in a natural youthful appearance. Resurfacing & Congestion Helping tackle general congestion ‘lumps and bumps’ on the skin, resulting in a smooth and clear complexion. Prices below are indicative and confirmed on consultation, more areas available. Murad Method™ facials are a new and entirely personalised concept in high-performance professional skincare from internationally renowned skincare brand Murad. During your facial, your therapist will spend time analysing your specific skin type before designing a personalised facial to address multiple skin concerns. The facial also includes touchpoint massage techniques to help relieve stress for ultimate relaxation and mindfulness. Skin will be left noticeably healthier, smoother, plumper, radiant and more beautiful. Deep exfoliation will help the reduction of dead skin cells, lines and wrinkles. Skin tone will be more even and feel firmer. A course of 6 is recommended. Specifically designed for men. This all-inclusive treatment immediately soothes, deep cleanses clogged pores, gently removes dullness and hydrates to reinforce skins natural protective barrier. Be prepared to be smooth to the touch. Fine lines and wrinkles ease in just 30 minutes as concentrated Glycolic acid exfoliates dead skin cells. A unique patented blend of antioxidants, anti-inflammatories and hydrators soothes and revitalizes skin to reveal a softer, smoother complexion. BIOTEC facial treatments are where ground-breaking technology meets active ingredients and transformative touch. This pioneering innovation of the BIOTEC machine works to switch the skin back on, increasing its natural cellular energy. A course of 6 is recommended. Book for a BIOTEC treatment and your therapist will choose the best treatment to treat your concerns. Target wrinkles and energise the skin towards optimum performance with microcurrent pulses and red and blue light therapy. A powerfully rejuvenating clinically proven* facial treatment that effectively irons out wrinkles and fills out lines. *Independent Clinical Trial. This revolutionary clinically proven* facial addresses skin tone, blemishes and fine lines to transform the texture of the skin. The ultrasonic peel, massage and light therapy deliver a complexion that has never been smoother. *Independent Clinical Trial. This is the facial to de-stress, de-age and de-fatigue the male complexion while activating ultimate skin dynamism. A triple hit of ultrasonic peeling, steam and galvanic delivers a deep clean, simultaneously exfoliating and powering up Kalpariane’s anti-wrinkle properties and samphire’s hydrating potency. An oxygen infusion is the final blast of energy for real, best face forward results. A multi-tasking, time efficient solution. Time to switch your skin on. 30 or 60 minute, ELEMIS BIOTEC facial, with your personalised 30 or 60 minute Freestyle Deep Tissue Massage. A nutritional boost rich in superfoods and essential minerals designed to pack stressed, dull skin with energizing, detoxifying actives. Clinically proven* to leave skin plumper, radiant and lit up with good health. *Independent Clinical Trials. Reflexology rebalances the whole body using pressure applied to your feet. It is based on the ancient Chinese theory that energy is flowing all around our bodies. If the energy can flow freely then we are balanced and healthy. If the energy is obstructed, illness may result. Lymphatic drainage is a delicate form of massage that stimulates the body’s lymphatic system, improving the metabolism, helping the body to eliminate waste and toxins and providing a boost to the immune system. Lymphatic drainage massage is especially useful for individuals who suffer regularly from common illnesses like colds and flu. It is also recommended for people who lead sedentary lifestyles, or those who want to reduce puffiness or swelling. It has been cited as having a positive effect on problem skin, cellulite, dysfunctional respiratory systems and people with low energy. Your therapist will select aromatic oil according to your concerns, be they muscle pain, stress relief, relaxation or balance. The flowing massage works deeper into the tension, encouraging optimum circulation. Sports massage focuses on restoring or maintaining the functionality of your muscles. It works at a deep level within the muscle tissue to alleviate pain causing tension. The therapist works on specific areas of concern highlighted in your consultation. Lycon Wax is used for all waxing treatments; this premium product is designed to make waxing treatments easier and virtually pain free. Lycon Wax can remove hair as short as 1mm and guarantees superb results. This award-winning spray tan creates a rich, natural-looking colour that’s sure to make you look and feel fantastic. Gives you an instant glow as soon as it’s applied. Continues to develop and deepen into a wonderfully natural olive tone that’s anything but orange, Enjoy radiant results for up to seven days. Please exfoliate and wax/shave at least 24 hours before your spray tan appointment.Please wear loose, dark clothing after your tanning treatment. Avoid exercise and swimming whilst your tan develops, or anything else that can cause you to perspire. This manicure includes exfoliation, cuticle care, with application of hand cream, followed with a shape and polish from the Jessica selection. This treatment combines the Jessica Prescriptive Manicure with the added benefit of Thermal Mittens, a nourishing masque and relaxing massage. Your nails are cut and filed then a luxury hand soak softens the cuticles. Cuticle work is carried out on your nails followed by a hand massage and a buff to shine. A clean, neat finish ideal for any man. Cuticles treated and the nails are trimmed and filed. The application of gel polish completes the treatment. Please note that Geleration Polish must be professionally soaked off (further information on this will be given during the treatment) and a natural nail is essential for applying the gel. Removal of your GELeration gel polish. Please ensure you book a “soak off” if required, when making an appointment for either Geleration Manicure or Pedicure. Please cancel any “soak offs” not required 24 hours before your appointment. This treatment will revive tired looking feet leaving them pampered and well groomed. Feet are massaged with deep conditioning creams to leave them soft and smooth. Cuticles are groomed and toenails are beautifully shaped and polished. Choose from Calming Green Tea or Energising Ginger for this luxury foot and leg treatment. Hard skin is removed and feet and legs are massaged with deep conditioning creams to leave them soft and smooth. Cuticles are groomed and toenails are beautifully shaped and polished. It is recommended that you bring flip-flops to wear after your pedicure to allow your nails to dry. Feet are soaked in our luxury foot spa . Toenails are cut and filed and any hard skin is removed. Feet are exfoliated leaving them smooth and soft then cuticle work is carried out, followed by a foot massage. The beauty of Jessica, in a gel. With the health of the natural nail in mind, GELeration’s gel formula delivers a long lasting, flawless finish that is dry in seconds and protects the natural nail. Cuticles are groomed, toe nails are shaped and finished with Jessicas’ GELeration gel polish. Specifically designed for men, this all inclusive treatment begins with a luxurious 30 minute relaxing back massage and follows with a facial to deep cleanse clogged pores, gently remove dullness and hydrate to reinforce skins natural protective barrier. Your journey will begin with a full body exfoliation and a relaxing and de-stressing full body massage. The crème de la crème of treatments pampers the body to transform the skin’s surface, and will finish with a Murad facial designed to suit your skin concerns. Rejuvenate your whole body with this great value full body pamper day which includes a 30 minute back neck and shoulder massage, 30 minute Murad Pom power cleansing facial, and finish than with a file and polish of hands and feet. Time to switch your skin on. 60 minutes or 120 minutes, ELEMIS Couture Technology with your personalised 60 or 120 minutes Freestyle Deep Tissue Massage. Designed to bring balance and equilibrium to busy world travelers, this holistic body treatment starts with a rejuvenating cleanse and scrub, followed by a tension-reducing, muscle-relaxing massage. These are available for corporate days out, hen nights and parties. Please contact the Spa team for further information. 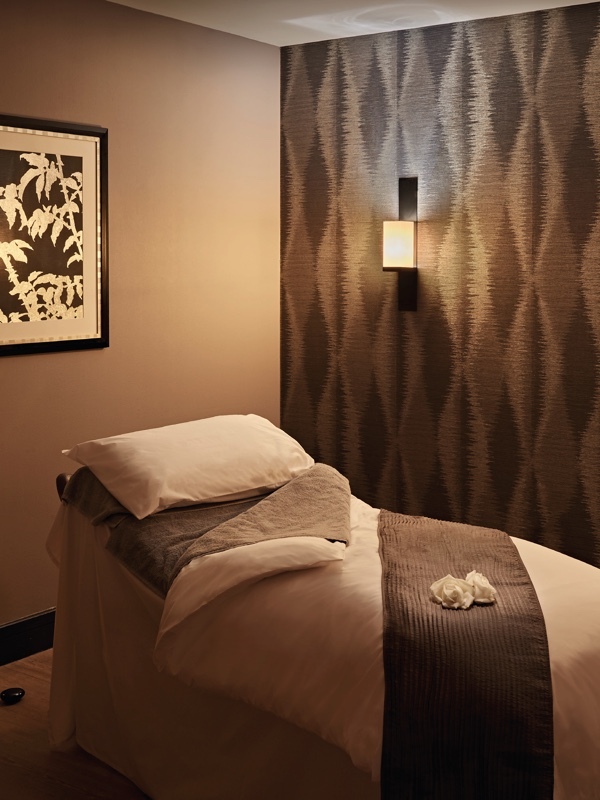 A 30 minute hands on facial combined with a 30 minute deep tissue massage, tailored entirely to your needs. Whether you want to feel soothed, focused, grounded, uplifted or relaxed, there’s a Life Elixir for you. Shaylini is a talented and gifted Reiki Master, Intuitive Energy Healer, Columnist and Feature Writer for a number of highly respected global publications, Huffington Post Blogger and a Holistic Health and Wellness Expert. She provides Reiki healing, Chakra balancing, Guided Meditations and Energy therapies to help experience freedom from emotional, mental and physical pain, imbalances and blockages. Through her heart-centred approach, she provides a unique experience of deep healing which will enable you to let go of what doesn’t serve you, align you to your true potential and help you achieve ultimate inner peace and abundant self-love. Reiki healing is a deep form of energy healing which works to align you to your true potential, remove any energy that no longer serves you and helps you to achieve ultimate inner peace and happiness. A body scan will diagnose and treat imbalances using a variety of techniques including emotional body clearing, vibrational frequency rebalancing, karmic pattern cleansing, chakra cleansing and balancing, and energy healing restoration. Through her transformative chakra balancing techniques, Shaylini replenishes the body’s life energy from the chakras right through to the cellular level, whilst enabling the release of any depleted energies. This ensures optimal flow and even distribution of energy throughout each chakra, resulting in balance, elimination of disease and powerful healing and cleansing. The two deeply healing techniques of Reiki Healing and Chakra Balancing are combined to enable deep energy releases to take place. Through removing blockages and imbalances in a gentle yet powerful way you will experience the free flow of prana and energy shifts that bring you back to your natural state of peace, happiness and balance. This treatment combines the three powerful energy healing techniques. Crystals possess profound healing properties. Through the placement of each crystal on its corresponding chakra, the vibrational healing is amplified, resulting in a deeper healing experience. The ultimate aim is to bring back the balance and peace within you, enabling you to live life freely, joyfully and to your true full potential. The crystal healing process will also assist in the removal of toxins and elimination of negative or challenging energies whilst magnifying positive energy. Through Shaylini’s powerful healing methods she has developed a wonderfully healing and therapeutic Indian Head Massage which simultaneously works to align your Chakras. Using a range of techniques, Shaylini focuses on relieving all pain and tension from the head, scalp, neck, upper back, shoulders, upper arms and face. Based on ancient Ayurvedic principles, experience the profound healing benefits of this treatment which serves to relieve stress, fatigue and muscular tension, whilst replenishing and balancing your Chakras. Shaylini’s meditation techniques will enable your body, mind and hearts to open up more freely to renewal, growth and inner peace, cultivating a greater relationship with yourself and more awareness of your thoughts. As you begin to observe your thoughts you will be guided through techniques to gently release emotional, physical and mental tensions. Shaylini provides a unique emotional healing technique that works to release you from your emotional wounds. Shaylini aims to release the blockages that are preventing you from moving forwards and experiencing freedom whilst opening the connection to your true emotional needs. This healing experience will bring back your beautiful and original state of serenity and wholeness in body, mind and soul. Amplify your experiences of love and peace through this divinely guided healing. Our Express Treatments are designed for today’s busy lifestyle. Fast but effective beauty, massage and wellbeing treatments , the perfect solution when your time is limited. A 30-minute massage of the shoulder, neck, face & scalp to encourage relaxation, ease away mental activity of the mind, stress and tension of the body as well as to promote beauty sleep! Feel your senses lifted and your body invigorated by the sublime Exotic Lime and Ginger Salt Glow infused with the skin enriching Japanese Camelia oil blend. After light body brushing, warm oil is drizzled luxuriously over the body. Skin is deeply cleansed, leaving it silky-smooth and glowing. Ease the stress and tension in your toes, feet, ankles and calves – perfect after a day on your feet. A relaxing massage focused on releasing stress and tension in either your back or legs. Perfect for a lunch-time or early evening ‘quick fix’, these facials are uniquely designed for maximum results in minimum time. All our experienced therapists will work with you to offer the best suited facial to you needs and recommend necessary products so you can continue your experience and enhance your home care routine. Get in touch to arrange your treatment at any location. You can call either of our locations directly, or simply complete the form below.